Born in 1943 in Berlin, Germany, Marlis has lived in Loisaida since 1975. Her photographs document the struggle of the mostly Puerto Rican people living in that part of Manhattan. 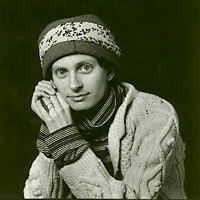 Her B&W and Color Photographs have been used to illustrate national and international publications on political and cultural topics such as: gentrification, urban development, slum lords/arson for profit, squatting, affordable housing/homesteading, cultural identity, education, the arts, drugs and urban crime.